If you’ve ever played Myst—the 1993 video game with zero exposition—you already know what it’s like to read The City In The Middle Of The Night. 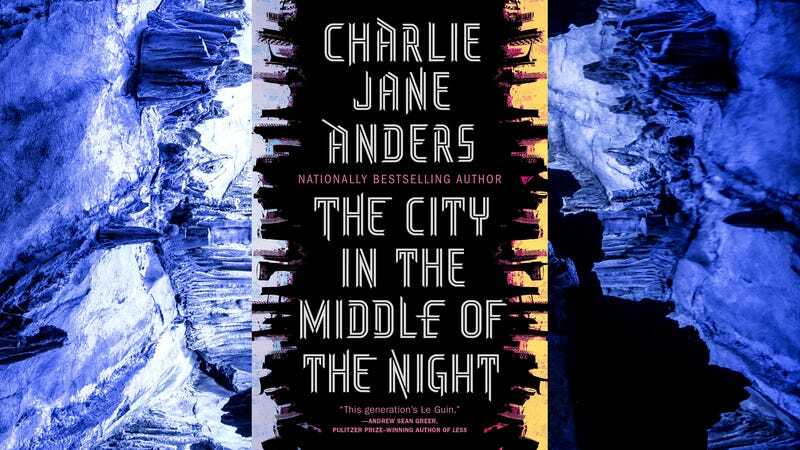 Instead of marooning you on a mysterious island, Charlie Jane Anders drops you into a city on another planet. Like Myst, it’s disorienting at first, fascinating when the world comes into focus, frustrating when nothing happens for long stretches of time, and satisfying when all the puzzle pieces fall into place. 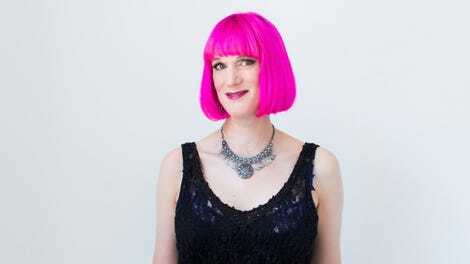 You may remember Anders from io9, the science fiction and fantasy website she co-founded with her partner, Annalee Newitz (Note: Like The A.V. Club, iO9 is owned by Univision). Her first novel for adults—All The Birds In The Sky, a genre mashup starring a witch and a time-traveling techie—won both the Locus and Nebula Awards, and was a finalist for the Hugo. In 2016, Anders told the Chicago Review Of Books she wanted her next novel “to be as different from All The Birds as possible” to avoid being pigeonholed. She succeeds with The City In The Middle Of The Night, a stylish sci-fi adventure that combines the social and environmental themes of Le Guin with a Guillermo del Toro creature feature. The City In The Middle Of The Night is set more than a thousand years in the future, when the human descendants of a generation ship have colonized the planet January. Because of its tidally locked orbit, the light side of January is permanently scorched by sunlight, while the dark side is encrusted with ice. For centuries, humanity has survived in the “sliver of dusk” between these two extremes. Most people live in Xiosphant, a fascist city-state ruled by clocks and bells—at least since the “Circadian Restoration” a few decades earlier. There’s a strict curfew, a caste system, and a death penalty for homosexuality. Sophie, a shy, lower-caste student, is in love with her wealthy roommate, Bianca, who’s hell-bent on a social revolution. When the police crash one of their political meetings, Sophie sacrifices herself for Bianca, and “men with opaque faceplates” drag her out of the city, push her off a cliff, and leave her for dead on the planet’s dark side. Luckily, Sophie is saved by one of the planet’s natives: a giant, tentacled creature covered in fur. Instead of the mindless monsters she was taught to fear, the “Gelet” turn out to be an intelligent species of geo-engineers who communicate through touch. But there’s another point-of-view character, Mouth (yes, her name is Mouth), a smuggler and the lone survivor of a nomadic religious community. She pretends to help Bianca’s revolutionary effort to storm Xiosphant’s palace, but all Mouth really wants is to get inside and steal a MacGuffin artifact that belonged to her people. It’s all very suspenseful for the first third of the book, as Anders builds expectations for both a social revolution and a heist. But neither of these things happens, and Anders leaves Xiosphant largely unexplored. Instead, everyone fails, and Mouth smuggles Sophie and Bianca out of the city. After a trek across the ice that calls to mind Le Guin’s The Left Hand Of Darkness, all narrative momentum comes to a halt in Argelo, January’s other human city. Nonetheless, Anders takes the final third of the novel in some interesting and unexpected directions, both geographically and thematically. When Sophie finally returns to Xiosphant for a dramatic showdown, it’s surprising, emotional, and gratifying—even though it feels rushed compared to the days, weeks, or months (it’s unclear) spent in Argelo. Just don’t let the comparisons to Le Guin prime you for a character-driven novel full of big ideas; The City In The Middle Of The Night is far less ambitious, but still a fine piece of popcorn sci-fi that will inevitably become a TV series.